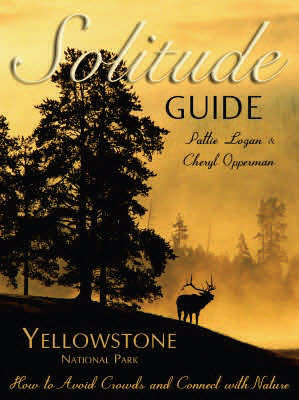 Returning CIPA member and author Pattie Logan recently released her first book, an ebook, called Solitude Guide Yellowstone National Park: How to Avoid Crowds and Connect with Nature. It is both practical and philosophical. The book has information on how to avoid the crazy crowds at Yellowstone. It also features gorgeous photographs and provocative thoughts on how to deepen our relationship with the natural world. The ebook can be purchased on Amazon and Barnes and Noble, and soon to be found on Apple iTunes and iBooks.